Genetically Modified Foods (or GMOs) have become more and more prevalent in American foods in the past decade, making them one of the 10 Countries That Consume the Most Genetically Modified Foods. No doubt, you’ve seen the Non GMO label listed on a few foods at the grocery store and wondered about it. Maybe you’ve heard health nuts rave about their dangers. But what are they, and why are they so terrible? 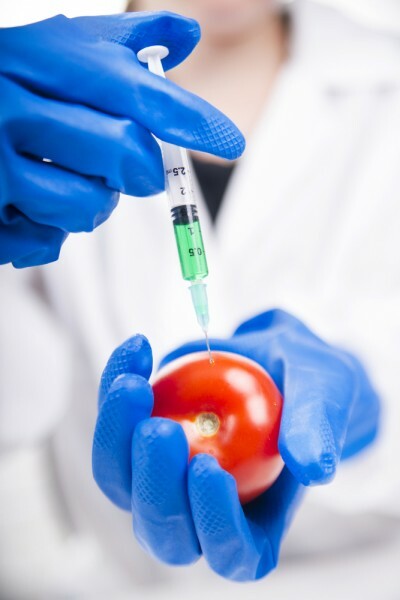 Genetically Modified Organisms, the Non GMO project states, are foods that have been artificially manipulated in a laboratory through genetic engineering (GE). These produce chemical combinations of plant, animal and bacteria genes that do not occur in nature or through natural methods. Modified crops have made their way into animal feed and common processed foods. These foods have yet to be proved unsafe for consumption, but opponents claim the testing has been inadequate. Their belief is that these foods make consumers more prone to allergies or diseases that resist antibiotics. But it’s difficult to escape these types of foods. They’re commonly found in soy, canola, cotton, corn, sugar beets and yellow and zucchini squash. They also may be hidden in processed food ingredients such as aspartame, high fructose corn syrup, vitamin C, molasses, xanthan gum and many more. These are almost always infused into chips, cookies, cereal, dressings and other staples, as mentioned in 12 Examples of Genetically Modified Food. You thought everything about cookies was good, didn’t you? Below is a list of the 10 Countries That Consume the Most Genetically Modified Foods, or more precisely, the countries that grow the most genetically modified crops. So, if you want to escape these foods, try moving to a country that’s not one of these, or at least one that exports a large percentage of their crops.